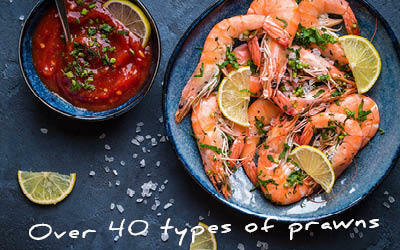 A simple but tasty boil-in-the-bag item from a small restaurant supplier we know well. The salmon comes in fork-sized chunks. The sauce is pretty jolly good, and if you try hard, you can even detect a molecule or two of whisky in there. 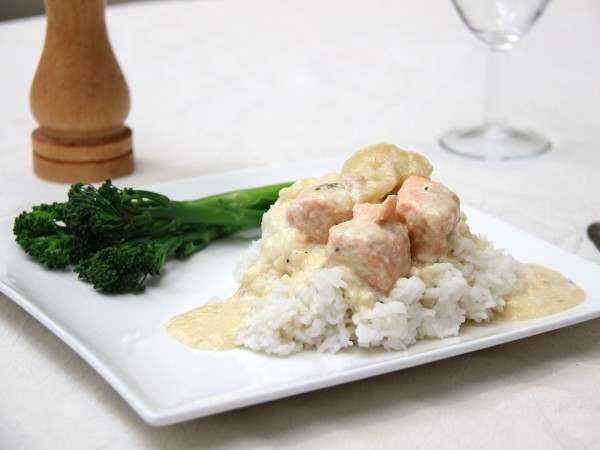 Related links to "Salmon in Cream & Whisky Sauce"
Salmon (54%), cream (33%), whisky 3%, water, fish bouillon: (modified potato starch, vegetable oil, salt, fish (9%), yeast extract, sugar, onion, pepper. ), lemon juice, salt, pepper, tarragon, thyme, lemon, dill. May contain traces of celery, mustard, soya & nuts.